Il-kosta Maltija hi taħt assedju. Ilha żmien hekk. Il-kummerċjalizzazzjoni tal-kosta mhiex fenomenu riċenti. Ilha għaddejja s-snin. L-abbozz ta’ Masterplan għal Paceville, li issa ġie skartat, ma kellu l-ebda skop li jħares il-kosta. Kemm min fassal dan il-pjan kif ukoll it-tmexxija tal-Awtorità tal-Ippjanar, li mexxietu ‘l quddiem, fittxew li jiffaċilitaw il-kummerċjalizzazzjoni tal-kosta. L-abbozz ta’ pjan għal Paceville injora kompletament il-liġi dwar id-dimanju pubbliku, eżatt bħal ma qiegħed iseħħ fir-regolamentazzjoni dwar l-ippjanar għall-użu tal-art b’mod ġenerali. It-titjib li sar fl-2016 fil-leġislazzjoni lokali dwar id-dimanju pubbliku kien eżerċizzju biex jagħti stampa li mhiex minnha. Beda bil-pubblikazzjoni fl-2012 tal-White Paper bit-titlu bombastiku ta’ “The Public Domain. Classifying Public Property – Achieving a Qualitative Leap in Protection and Governance.” Iktar tard, il-Parlament approva l-liġi bħala riżultat ta’ mozzjoni mressqa mill-Opposizzjoni. Bla dubju, jeżistu problemi fil-proċess tal-implimentazzjoni, problemi li ser idumu biex tinstabilhom soluzzjoni, sal-mument li ftit li xejn ikun baqa’ x’tipproteġi! Minkejja l-liġi li ssaħħaħ u taġġorna l-qafas regolatorju għall-governanza tad-dimanju pubbliku, wara tlett snin, is-sitwazzjoni qed tmur mill-ħażin għall-agħar. Talbiet li saru mill-għaqdiet ambjentali biex immedjatament jibda l-proċess ta’ implimentazzjoni tqiegħed fil-ġemb għax ma hemm l-ebda rieda politika li l-affarijiet jiċċaqalqu. L-għaqdiet ambjentali ilhom sa minn Ġunju 2016 li issottomettew id-dokumentazzjoni meħtieġa dwar 23 sit mal-kosta biex dawn ikunu protetti. L-Awtorità tal-Ippjanar ilha minn dakinnhar tkaxkar saqajha, attenta li ma tmurx tippreġudika l-interessi tal-iżviluppaturi li hi sservi bi skruplu kbir. Il-ħarsien tal-kosta tfisser ferm iktar minn tindifa u ġbir ta’ skart mormi. Ifisser li għandna nibdlu l-attitudnijiet tagħna kif ukoll li nduru dawra l-politika żbaljata li l-pajjiż għandu llum. Għandna bżonn urġenti ta’ amministrazzjoni pubblika li tkun kapaċi tifhem li hi teżisti biex isservi u biex tħares il-ġid komuni. Sfortunatament, f‘Malta, l-awtoritajiet jagħtu messaġġ ċar li l-viżjoni tagħhom hi li jiffaċilitaw li jkun hawn min ibill subgħajh f’dak li jamministra l-istat Malti. Il-ħarsien tal-kosta u lil hinn minnha hi meħtieġa biex ikollna governanza tajba, li aħna nieqsa minnha. L-oriġinI ta’ dan fil-liġi Maltija taf il-bidu tagħha għal influwenza mil-liġi Rumana li kienet tqis il-kosta u lil hinn minnha bħala propjetà pubblika biex titgawda minn kulħadd: jiġifieri l-kosta hi tagħna lkoll. Il-Kodiċi Ċivili Malti jinkludi artikli li jikkunsidraw iċ-ċirkustanzi li bħala riżultat tagħhom il-parti l-ġewwa mill-kosta protetta tista’ tasal sa fejn twassal l-ikbar mewġa, u dan jista’ jkun sa ħmistax-il metru ‘l-ġewwa mill-kosta. F’din iz-zona ta’ 15-il metru hemm numru ta’ propjetajiet privati. Huwa ta’ sfortuna li l-Awtorità tal-Ippjanar tinjora dan kollu meta tkun qed tikkunsidra applikazzjonijiet ta’ żvilupp li għandhom faċċata fuq il-kosta ta’ San Ġiljan. Tliet applikazzjonijiet dwar l-istess sit mal-kosta diġa ġew approvati, bir-raba’ applikazzjoni qed toqrob għal deċiżjoni. Il-propjetà oriġinali kienet ilha żmien mibnija. Tidher fis-survey sheets il-qodma tal-1906. B’żieda ma dan, fis-sit tal-Awtorità tal-Ippjanar hemm survey fotografiku tal-bini minn ġewwa li juri li l-bini mal-kosta faċċata tal-kunvent tal-Karmelitani fil-Balluta, San Ġiljan hu ta’ kostruzzjoni qadima. L-iżvilupp inkwistjoni ngħata permess fuq art mal-kosta. B’żieda ma dan kif jidher fil-pjanta approvata li qed nippubblika ma dan l-artiklu, jidher ċar li l-binja tibqa’ ħierġa fuq il-baħar. Jidher li l-Awtorità tal-Artijiet l-anqas biss tniffset dwar dan. Xi ħtieġa għandna ta’ konferma li l-Awtorità tal-Ippjanar mhiex interessata fil-ħarsien tal-kosta? L-Awtorità tal-Ippjanar issa għandha kompliċi ġdid, l-Awtorità tal-Artijiet, li suppost hi l-gwardjan u l-amministratur tal-propjetà pubblika. Jidher li għad baqa’ biex isseħħ il-qabża fil-kwalità imwegħda fil-ħarsien u l-amministrazzjoni tal-propjetà pubblika. Minflok, qegħdin kontinwament niffaċċjaw inizjattivi ġodda li bihom assi pubbliċi jsiru privati. Il-ħarsien tal-kosta teħtieġ amministrazzjoni serja li jkollha r-rieda politika li taġixxi. Sfortunatament la għandna l-waħda u l-anqas l-oħra. Our coast is under siege. It has been for a number of years and its commercialisation is not a recent phenomenon: this has also been going on for years. The draft Paceville Masterplan, now dumped, did not envisage the protection of our coast. Its drafters and promoters of it – part of the Planning Authority’s top management -sought to facilitate the coast’s commercialisation, with the result that it ignored the Public Domain legislation, following the lead of planning policy in general. The 2016 upgrading of local public domain legislation was just an exercise in white-washing that started with the publication of the 2012 White Paper bombastically entitled “The Public Domain. Classifying Public Property – Achieving a Qualitative Leap in Protection and Governance.” It was subsequently enacted by Parliament as a result of an Opposition private members’ motion. There are clearly some teething troubles in the implementation process, troubles that will undoubtedly take quite some time to solve, until, that is, there is nothing left to protect. Notwithstanding the enactment of legislation which reinforced and updated the public domain regulation and governance framework, after almost three years the situation gets worse every day. Requests by environmental NGOs, to proceed rapidly with its implementation have been placed on the back-burner as there is no political will to act. As far back as June 2016, environmental NGOs submitted documented requests relating to 23 coastal sites in order that these be protected in terms of the updated legislation. The Planning Authority has been procrastinating ever since, being as cautious as ever not to prejudice the interests of the development lobby which it scrupulously serves. Protecting the coastline means much more than physical clean-ups. Basically, what we require is an extensive clean-up of our attitudes and the weeding out of ineffective policies. We urgently require a public administrative set-up that is aware that it exists specifically in order to facilitate the protection of the common good. Unfortunately, most of the time, the authorities in Malta send a clear message that their vison is focused on facilitating the plundering of everything that is administered by the Maltese state. Protecting the coast and the foreshore is a measure of good governance that has been absent for a very long time. Its origin in Maltese law is influenced by Roman law which considered the coast, as well as the foreshore, to be public property and for the enjoyment of all. Malta’s Civil Code includes legal provisions which consider circumstances as a result of which the foreshore may extend as far inland as the reach of the largest waves, and that could extend as much as 15 metres inland from the coastline. A number of so-called “private” properties lie within this zone. It is indeed unfortunate that the Planning Authority ignores all this when considering planning applications for the redevelopment of properties abutting onto the coast at St Julian’s. Three applications relating to the same site with an elevation on the coastline have already been approved, while a fourth one is in the pipeline. The old property has been in existence for quite some time. It features in old survey sheets dating to the beginning of the 20th century. In addition, an internal photographic survey available for examination on the Planning Authority’s website clearly indicates clearly that the property along the coast, just in front of the Carmelite Priory in St Julian’s is of old construction. The development in question has been permitted on a footprint starting along the coastline itself. In addition, as evidenced by the accompanying approved section drawing, planning permission issued by the Planning Authority includes part of the approved structure protruding over the sea. Not even a whimper has been heard from the Lands Authority on the matter. Do we need any more confirmation that the Planning Authority is not interested in the protection of the coast? The Planning Authority is now joined by a new accomplice, the Lands Authority, the guardian and administrator of public property. The qualitative leap promised in the protection and governance of public property is nowhere in sight. Instead we are continuously faced with new initiatives transforming public assets into private assets. Protecting our coast requires a serious administration that has the political will to act. Unfortunately we lack both. As the short time allotted for public consultation on the proposed first draft of the Paceville Masterplan approaches its conclusion, it is time for some commonsense to prevail at the Planning Authority. On TV, last Thursday, we heard the Authority’s Executive Chairman Johann Buttigieg plotting the first steps of a U-turn on a number of contentious issues contained in the draft. This U-turn is welcome, as it is clearly being planned on the basis of the reactions of the public and the environmental NGOs to the proposed Paceville Masterplan. The most serious point at issue is the extent to which the nine projects around which the Masterplan is woven will engulf properties belonging to residents and small scale business people. It will hopefully now be clear, once and for all, that no one will be coerced through threats of compulsory purchase (veiled or otherwise) to make way for any one of the nine projects. Mr Buttigieg declared that “no-one would be forced to sell”. While this declaration is welcome, it is certainly not sufficient. Everyone is aware that there are many ways through which pressure may be brought to bear on residents and business people. It is certainly time for all stakeholders to be vigilant and present a common front. Being constantly on the look-out may help identify those triggering incidents such as that of the car which was recently set ablaze in St George’s Park at Paceville at the same time as residents were meeting elsewhere to discuss their reactions to the proposed Paceville Masterplan. The Planning Authority should be proactive. It should be at the forefront when it comes to taking initiatives that make sense. A case in point is the need to implement the public domain legislation recently enacted by Parliament in order to better protect both the coastline and the foreshore to a minimum distance of fifteen metres from the shoreline. 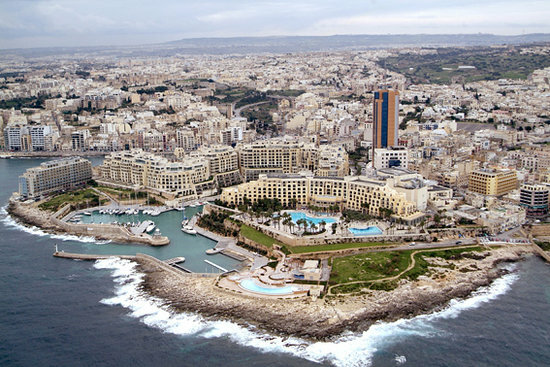 It is well known that there is just one stretch of coastline within the draft Paceville Masterplan boundaries that is not intensively developed: the Cresta Quay site, also referred to as the Villa Rosa site 3. This site is crying out for protection and it can be protected, yet the draft masterplan – ignoring public domain legislation – earmarks this site for a number of high rise blocks. This proposal, in addition to reducing the recently approved public domain legislation to hot air, runs counter to the draft masterplan philosophy of siting high-rise developments away from the coast. It seems that someone may have been pressured into having second thoughts when the Masterplan was being drafted. There is no other reasonable explanation for this contradiction. The public consultation has revealed that the drafting of the Paceville Masterplan was flawed, as it ignored issues of fundamental importance. However, there is till time for the Planning Authority to align the Masterplan to the expectations of stakeholders. The belated declaration by Johann Buttigieg that (after all) he too has reservations on some aspects of the Masterplan is a step in the right direction. Hopefully, this will be reflected in an overhaul of the draft and in the production of a new one which respects the stakeholders who have invested in Paceville over the years. The investors promoting the nine projects which the Planning Authority identified may contribute to the regeneration of Paceville only if they tread carefully in full respect of residents and small-scale business people who have shaped the present-day Paceville, warts and all. So far, this has not happened, as some of the developers think that they have some God-given right to ride roughshod over one and all. Unfortunately, the Planning Authority has generally obliged, as it has rarely been on the side of the those bearing the brunt of the bulldozer culture that has to date reigned supreme in land-use planning issues. We await the second draft of the Paceville Masterplan, in the hope that the Planning Authority will turn a new page and assume its rightful place in protecting the underdogs. Il-Masterplan għal Paceville huwa mifrux fuq medda kbira ta’ art. Għax Paceville tmiss ma’ Pembroke, mas-Swieqi u anke ma’ San Ġiljan. Imma għandha ukoll biċċa kosta twila ġmielha, li skond minn fejn tibda tkejjilha tista’ ġġebbed bejn tlieta u erbgħa kilometri. Il-pjan jgħidilna li ser ikun possibli li tippassiġġa mal-kosta kollha. Imma r-realtà hi li kosta kollha ta’ Paceville hi mimlija konċessjonijiet li l-Gvern tul is-snin ta lill-privat għan-negozju, prinċipalment negozju konness mal-baħar jew mal-lukandi. 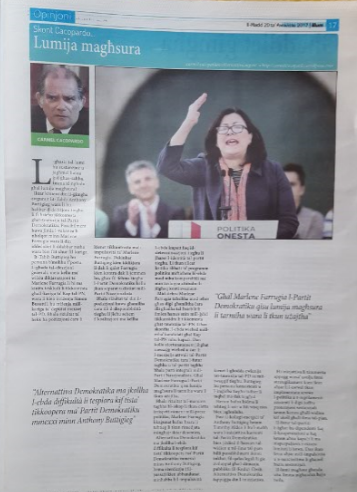 Waqt il-laqgħa ta’ nhar l-Erbgħa tal-Kumitat Parlamentari tal-Ambjent u l-Ippjanar, id-Dipartiment tal-Propjetà tal-Gvern ippreżenta pjanta li turi il-propjeta kollha li għandu l-Gvern f’Paceville, biċċa waħda tmiss ma l-oħra. F’xi każi l-pjanta turi bejn 4 metri u 5 metri mill-kosta l-ġewwa li huma riżervati għall-aċċess tal-pubbliku, għalkemm ħafna drabi m’huwiex ċar kif dawn il-passaġġi riżervati għalina lkoll tista’ tasal għalihom. F’Mejju li għadda b’vot unanimu l-Parlament approva emendi għall Kodiċi Civili li permezz tagħhom ġie ċċarat li l-kosta hi propjetà pubblika. Jiġifieri din hi tagħna lkoll. Mill-inqas sa 15-il metru l-ġewwa minn fejn iħabbat il-baħar. Imma fejn il-mewġ jibqa’ dieħel iktar il-ġewwa, il-15-il metru jiżdiedu ukoll, skond is-saħħa tal-baħar. Is-serjetà kienet titlob li billi l-ewwel abbozz tal-Master Plan ta’ Paceville ġie ippubblikat għall-konsultazzjoni pubblika bosta ġimgħat wara li l-Parlament esprima ruħu b’mod tant ċar, dan kellu jagħti kaz b’serjeta kbira ta’ dak li ddeċieda l-Parlament. Id-deċiżjoni tal-Parlament dwar il-kosta u l-art ta’ mal-plajja tfisser ħafna iktar minn sempliċi passaġġ fejn jgħaddu n-nies. Imma sfortunatament, il-konsulenti li fasslu l-Master Plan ma fehmu xejn minn dan u minflok ma fittxew kif ser jgħaddu lura lin-nies it-tgawdija ta’ partijiet ikbar mill-kosta qed jipproponulna li jkompli r-renju tal-konkos u l-azzar bi blokki għoljin tletin sular li jistgħu jinbnew viċin tal-kosta. Issa jew hemm min ma jafx x’inhu jagħmel inkella qed jippruvaw jgħaddu lil kulħadd biż-żmien. Għax jekk il-Parlament qed jaqbel magħna u qiegħed jgħidilna li l-kosta hi tagħna lkoll, kif jiġu dawn il-konsulenti tal-Awtorità tal-Ippjanar jgħidulna li din ser jibqgħu jgawdu minnha l-ftit, biex fiha tibqa’ issir l-adorazzjoni tat-torrijiet? The Paceville Master Plan is rightfully subtitled : Malta’s prime coastal location. However, it considers the coast as a money-spinner and completely ignores Parliament’s decision earlier this year to codify the importance of the coastal area through its inclusion in legislation regulating the public domain. The Paceville Master Plan issued for public consultation on 26 September was the first opportunity for the Planning Authority, on behalf of the government – which instructs it on policy initiatives – to flesh out the bones of the declarations made in the public domain legislation, approved by Parliament in May. That it did not do so casts considerable doubt as to whether the unanimous approval by Parliament of the public domain legislation is another political gimmick. The Paceville Master Plan covers a large tract of land bordering Pembroke to the north, Swieqi to the west, St Julian’s to the South and coastal waters to the east. The Paceville coastline is extensive: it adds up to anything between three and four kilometres, depending on the manner of measurement. We have been told that the Paceville coastline will be accessible through a passageway that will be created along the coast. As a matter of fact, most of the Paceville coastline is already dotted with commercial development on land which is either public property or else is subject to servitudes in favour of the state. During last Wednesday’s sitting of Parliament’s Environment and Development Planning Committee, representatives of the Government Property Department presented a drawing indicating all this property along the Paceville coastline. In a number of instances, the drawing submitted indicated passageways of a width varying between four and five metres along the coast which are obviously intended for public access, even though it is not always clear how one would be able to find their points of entry and exit. Parliament’s approval of amendments to the Civil Code approved in May lays robust legal foundations for the protection of the coast. The government has been entrusted with protect the coast on behalf of future generations, hence it belongs to all of us, in trust, on behalf of those future generations. The coastal perimeter extends to a minimum of 15 metres from the shoreline. To this, the newly-approved legislation adds the foreshore, which extends as far as the reach of the largest wave – a reach that can be substantial in those parts of the coastline that are exposed to the open sea. Large sections of the Paceville coastline are developed, but there are still small pockets which are either not developed or else contain development that is not intensive. A proactive Master Plan would have identified this as an opportunity for plotting the way forward in implementing a programme for the protection of the Paceville coast. Unfortunately, it seems that the consultants to the Planning Authority were not briefed on the matter and as a consequence there is a real danger that this opportunity will be lost. After the current public consultation is concluded, the Planning Authority will have to examine the comments made and consider the extent to which such comments can and should be taken into consideration in the second draft of the Master Plan. The Authority should take on board the public domain legislation in respect of the coast and plan for its implementation when it revises the first draft of Paceville Master Plan. In the short term, this should be done in relation to those areas which are still undeveloped or underdeveloped. I would also expect the Planning Authority to plan for the longer timeframe in respect of those sections of the coastline which are already intensively developed. This leaves one other basic issue: land reclamation. I feel that, on a policy level, Labour’s land reclamation policy is the marine equivalent of the Nationalist’s widely criticised 2006 rationalisation exercise through which the boundaries of development were irresponsibly extended. Labour will be extending the limits to development outwards towards the sea whilst the Nationalist-led government extended the said limits towards the countryside. The proposed Master Plan for Paceville recommends land reclamation off the Dragonara/Portomaso coastline. This is an ill-thought proposal as the area identified for land reclamation will be an extension of possibly the most intensively developed part of the Paceville coast. This proposal should undoubtedly be revisited as commonsense suggests that rather than increasing development in the area, this should, in the long term, be curtailed. The proposed Paceville Master Plan should be utilised as a planning tool for adequate coastal management. It can, at this point in time, also be the optimum vehicle for translating the public domain legislation into practical policies through which we can start the process of reclaiming the coast for future generations. This is an opportunity which should not be missed.